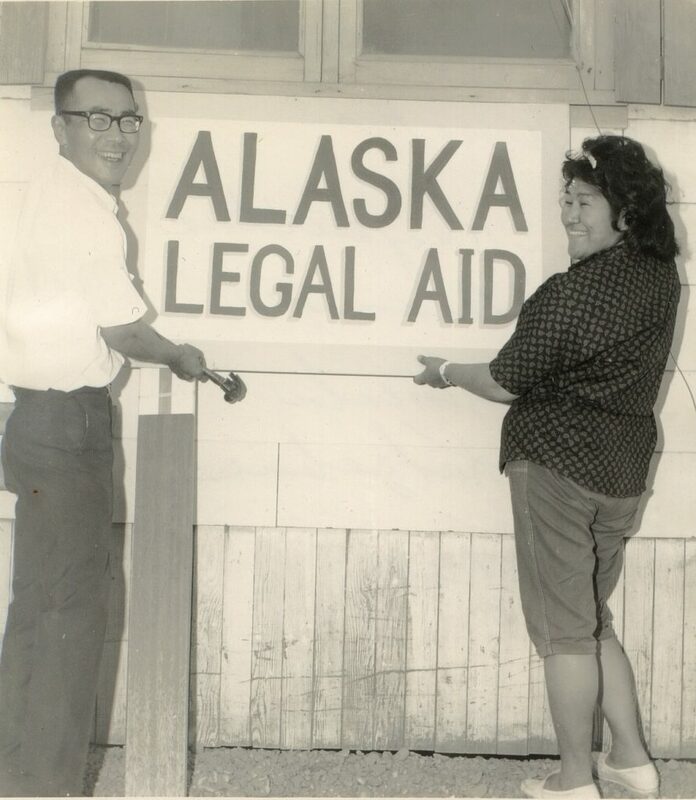 Alaska Legal Services Corporation (ALSC) was established in 1967 as a private, nonprofit law firm. ALSC offers free civil legal services to low income and disadvantaged people to protect their safety, their health, and promote family stability. We are dedicated to bridging the statewide gap between those who need civil legal help and those who are able to get it. We have an unwavering and longstanding commitment to assuring that Alaska’s rural communities have access to the justice system. Through advocacy, education, collaboration and litigation ALSC empowers individuals, protects fundamental rights, strengthens communities, creates opportunities, and achieves justice. In an average year, ALSC helps over 7,000 low-income Alaskans address civil legal problems. These issues are affecting their families, homes, incomes, jobs and access to vital services such as health care and utilities. Legal guidance is provided by staff attorneys and pro bono volunteer lawyers who donate their time and services to further our efforts. Additionally, ALSC offers self-help resources to help individuals independently navigate the court system. Our legal experts publish information on a variety of issues, offer community legal education, and refer clients to other social services as needed. By helping clients, ALSC helps all Alaskans. Resolving serious legal problems of low-income Alaskans improves the quality of life for children, families, the elderly and disadvantaged, and for the entire community. ALSC utilizes strategic partnerships with the Alaska Court System and key public-interest nonprofit organizations across the state. These partnerships help make other institutions more efficient and effective while seeking to uphold the rights of all Alaskans to equal access to justice. ALSC has 12 offices and 6 MLP sites that collectively serve every community in Alaska. Offices are located in Anchorage, Utqiaġvik, Bethel, Dillingham, Fairbanks, Juneau, Kenai, Ketchikan, Kodiak, Kotzebue, Nome, Palmer, Sitka and Wasilla. ALSC’s budget is derived from a wide variety of sources: federal, state and local governments; tribal organizations; foundations; and private donations.